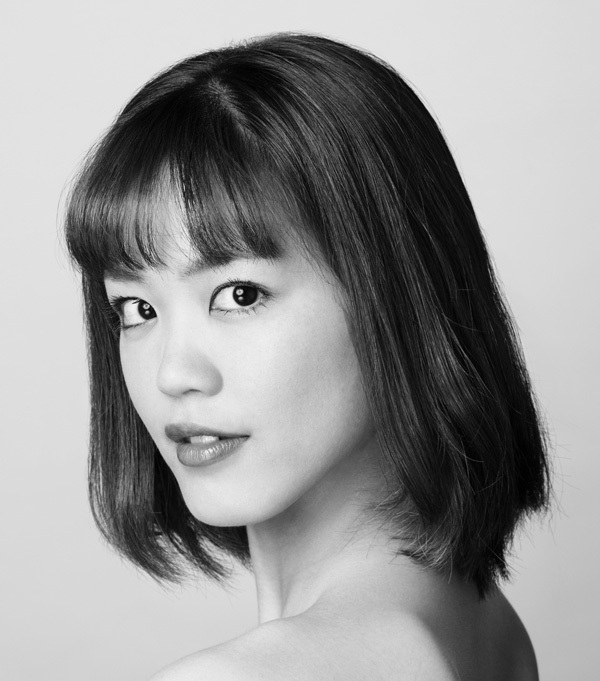 Ami Yuki has danced featured roles in Tomasson’s Nutcracker (Mrs. Stahlbaum, Arabian, and French), Romeo & Juliet (Lady Montague), and Swan Lake (Swan Maidens and Spanish); Balanchine’s Coppélia (War and Discord soloist and Prayer) and Diamonds (soloist); and Wheeldon’s Cinderella (Cinderella’s Mother and Spirit of Winter/Fluidity). She created corps de ballet roles in Peck’s Hurry Up, We’re Dreaming and Pita’s Björk Ballet. Her repertory includes Balanchine’s Agon, Brahms-Schoenberg Quartet (4th movement), The Four Temperaments (Phlegmatic corps), and Theme and Variations; Cranko’s Onegin; Lifar’s Suite en Blanc; Makarova’s (after Petipa) “The Kingdom of the Shades” from La Bayadère, Act II; Morris’ Drink to Me Only With Thine Eyes; Peck’s In the Countenance of Kings; Possokhov’s Magrittomania and Swimmer; Robbins’ The Cage, Glass Pieces, and Opus 19/The Dreamer; Scarlett’s Frankenstein; Tomasson’s Giselle (Peasants and Wilis), On a Theme of Paganini, Prism, and The Sleeping Beauty (Garland Dance, Ladies of the Court, Nymphs, and Polonaise); and Tomasson/Possokhov’s Don Quixote (Seguidilla, Gypsies, Driads, and Fandango).